Starting with a small gathering 15 years ago, the Beijing Student Film Festival has become an influential event among college students. Every April, when the festival is held, college students from across China choose their favorite films, actors and actresses from the past year. Before this year's result come out at the end of the month, let's review some of the film industry professionals favored by young students. At the end of the 1990s, Zhao Wei rocketed to fame for starring in the hit TV series "Princess Pearl". Her character, "Little Swallow", was loved by many for her impish personality. 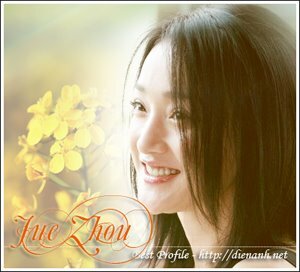 Years later, Zhao displayed seasoned acting skills in "Warriors of Heaven and Earth" and "Night.Shanghai", for which she won "the most popular actress" title at the eleventh and fourteenth Beijing Student Film Festivals. Without any formal training in acting, Zhou Xun has mastered her roles with natural born talent. Her portrayals are free of traditional acting methods, resulting in lively and varied characters. College students have chosen her as the most popular actress two times, for "Where Have All the Flowers Gone" and "Perhaps Love". Huo Jianqi began his film career as an artistic director, remaining in that position for ten years. His debut directorial work, "Winner", came in 1995. The film won five nods at the national Golden Rooster Film Awards, and best debut directorial work at the Beijing Student Film Festival. His 1998 "Postmen in the Mountains" went on to win the "best actor award" at the Student Festival for Liu Ye. Huo has truly become a favorite director among college students, with both of his later films "Love of Blueness" and "Nuan" winning best film awards at the Beijing Student Film Festival. Xu Fan was a stage actress upon graduation from China's Central Academy of Drama. Later she appeared on the big screen in Feng Xiaogang's films "A Sigh" and "Be There or Be Square". Her convincing acting in "Be There or Be Square" won her the most popular actress award at the Beijing Student Film Festival. Ge You is a favorite actor with Chinese audiences, and holds a special place in the hearts of college students. He has won love and esteem for his unassuming performances and the humor shown in his roles. Ge You has been awarded the "Most Popular Actor" title three times at the Beijing Student Film Festival for his performances in "Part A, Part B", "Big Shots Funeral" and "Cala, My Dog"